The first annual Innovateen Design Challenge was held in March with Sydney secondary schools working alongside Day of STEM industry mentors on a range of real-world design challenges. Brigidine College Randwick hosted the two-day challenge on March 15-16 alongside neighbouring Marcellin College, Randwick Boys High School and Randwick Girls High School. During the design challenge students were divided into teams with peers from other schools and assigned a Day of STEM industry mentor and related real-world design challenge. The teams worked together over the course of two days to develop a potential solution for the challenge. The learning objective of the challenge was to provide students with the opportunity to think, design, and pitch like an entrepreneur. 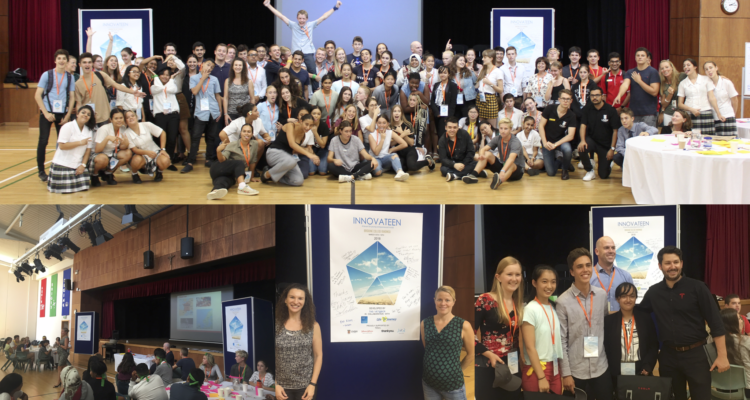 The teams employed an entrepreneurial mindset and innovative thinking to solve authentic, community-driven, real-world problems all while having an opportunity to connect with potential career pathways for their future. Industry mentors from Cisco, JAR Aerospace, Johnson & Johnson Medical Devices, Tesla, and Thankyou presented the design challenges on the first day and returned to judge the pitched solutions on day two. The teams were also supported and coached by business students from University of New South Wales. By connecting talented students with industry leaders and university students, the challenge aims to break down barriers and give young entrepreneurs a glimpse into the possibilities of the future.